The key witness in the Case 3000 naval acquisitions corruption investigation, which has ensnared several close confidants of Prime Minister Benjamin Netanyahu, has asked to change parts of his testimony. 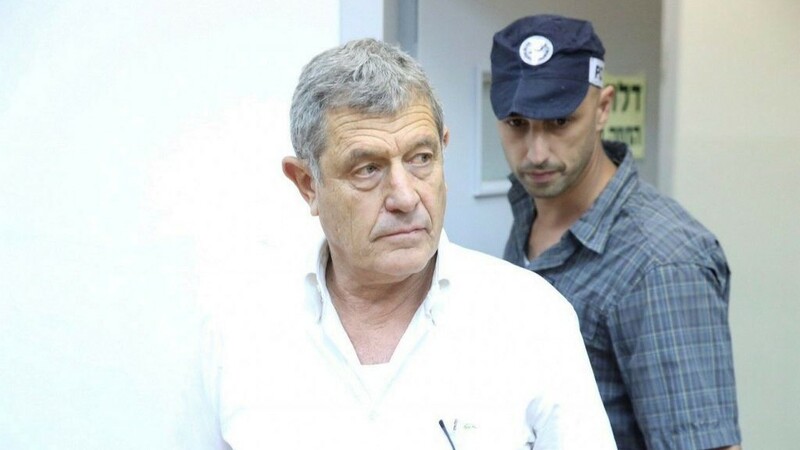 Miki Ganor, a former agent in Israel for the German shipbuilder ThyssenKrupp, signed an agreement with prosecutors in July 2017 to cooperate in the probe, which focused on the period he worked for the company between 2009 and 2017. He has admitted to bribing a string of senior officials in order to help secure contracts for ThyssenKrupp with Israel’s Defense Ministry. Police believe Israeli officials were bribed to push a massive deal for military naval vessels worth hundreds of millions of dollars, in what some have called the largest suspected graft scandal in the country’s history. 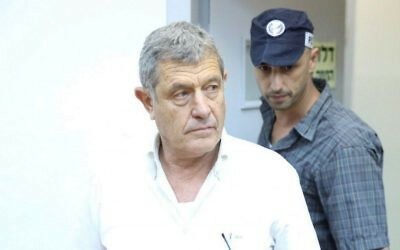 But according to a statement by the Israel Police, Ganor visited the Lod headquarters of the police’s top anti-corruption unit, Lahav 433, on Tuesday evening and told investigators he wished to alter key parts of the testimony he gave in the case. Ganor reportedly told police investigators, “I didn’t bribe anyone,” according to media reports not yet confirmed by police. 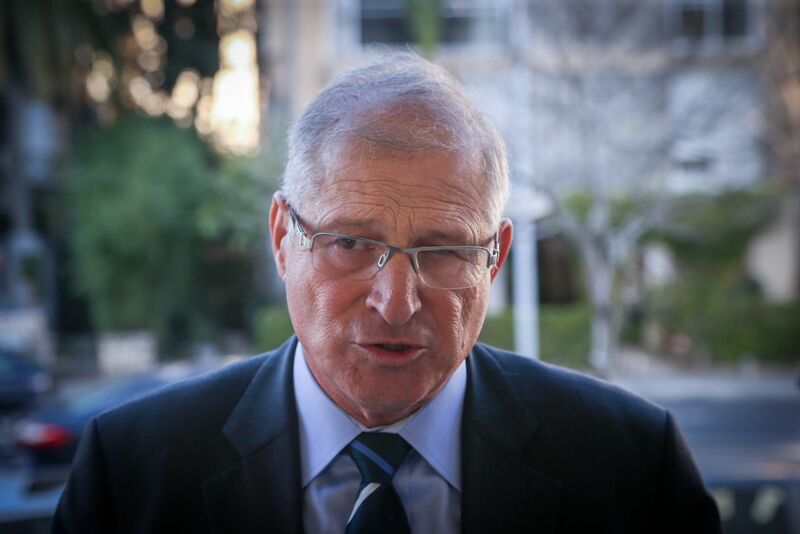 After making the unusual request, Ganor was immediately taken to the National Economic Crimes Unit, part of Lahav 433, where he was questioned under caution for suspected obstruction of justice. He was arrested soon after, and was scheduled to be taken to the Rishon Lezion Magistrate’s Court on Wednesday morning for a remand hearing, but was taken to a hospital Tuesday night for an unspecified ailment. Prosecutors are reportedly considering stripping him of his state’s witness status, a step that would remove his immunity from prosecution in the case. According to a Tuesday evening report carried by Channel 13, “sources close to Ganor” said he was suffering from “severe” mental stress, but did not elaborate. 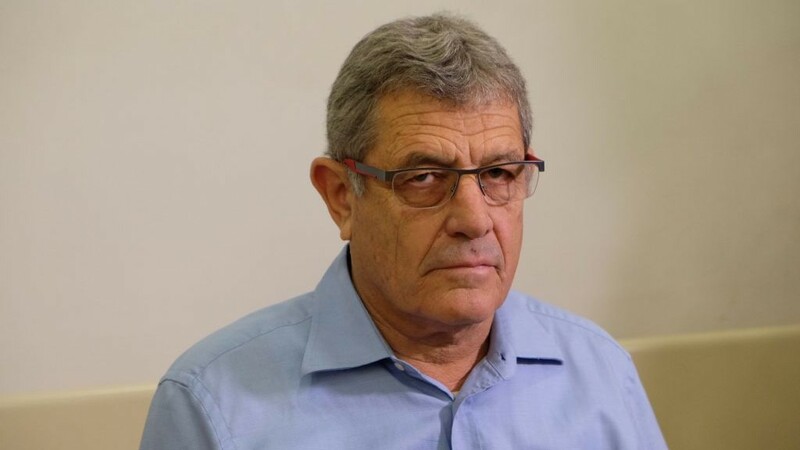 An official in the state prosecution, meanwhile, told the Maariv news site that Ganor’s retraction would not meaningfully hamper the investigation. Ganor’s testimony helped launch one of the most serious corruption investigations in the history of the country’s defense industry. Police laid out the details of the case when they concluded the investigation in November 2018 and handed the case to prosecutors with the recommendation that numerous indictments be brought against senior figures in the Israeli defense elite, as well as several close confidants to the prime minister. According to the police documents, there was sufficient evidence to charge Netanyahu’s personal lawyer and cousin David Shimron with bribery and money laundering offenses for his role in the case. 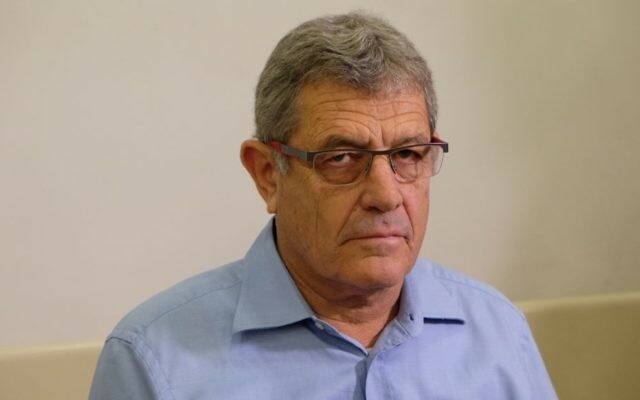 Besides Shimron, police said the former director of Netanyahu’s bureau, David Sharan, is also suspected of bribery, as is the former head of the Israeli Navy, Eliezer Marom. Brig. Gen (res.) Shay Brosh, former deputy national security adviser Brig. Gen (res.) Avriel Bar-Yosef, and former minister Eliezer Sandberg were also named as suspects. Police said there was insufficient evidence for an indictment in the case of another Netanyahu lawyer and longtime associate, Shimron’s law partner Yitzhak Molcho, who had also been linked to the case. 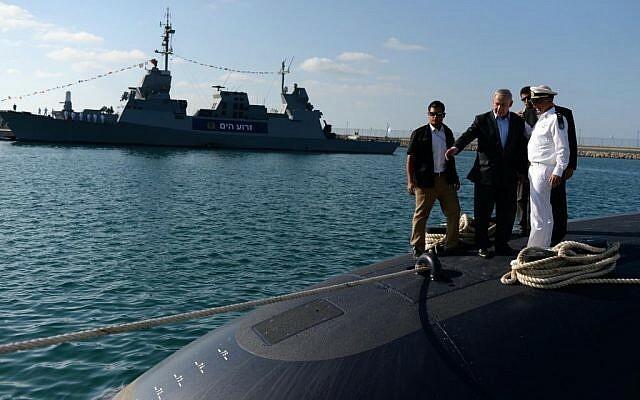 The police announcement came at the conclusion of a long-running investigation into Israel’s purchase of submarines manufactured by ThyssenKrupp. For his role in aiding the police investigation, prosecutors agreed to set aside the major corruption charges against Ganor and settle for a punishment only for his tax offenses in the case. The punishment included a 12-month prison sentence and a fine of NIS 10 million (roughly $2.7 million). Attorney General Avichai Mandelblit has yet to announce whether he plans to file indictments in the case. Netanyahu is not a suspect in the case, but the involvement of so many of his confidants and his own dealings with a separate company that had business transactions with ThyssenKrupp have been raised by his opponents in the current election. 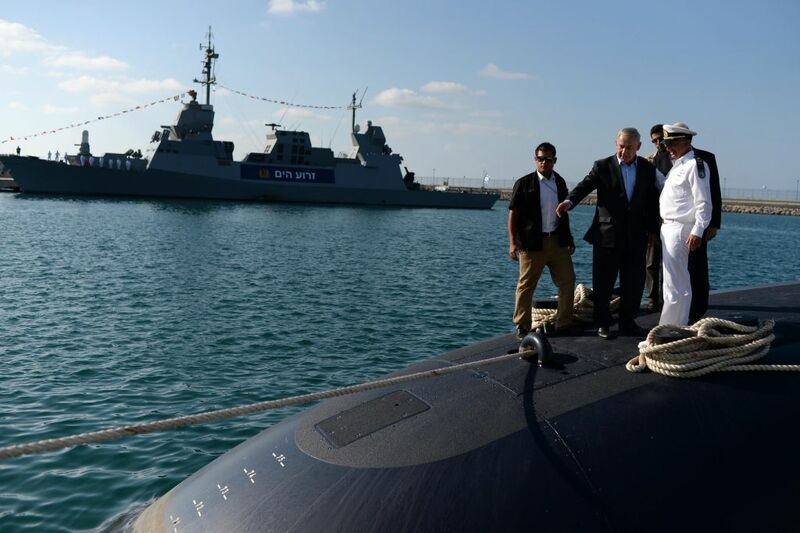 Shimron is suspected of pushing for a NIS 6 billion ($1.5 billion) defense contract to purchase submarines for the Israeli Navy and other vessels for protecting the country’s maritime natural gas fields, an effort that could have netted him a hefty fee. Netanyahu’s own role in the purchase decision, including his insistence that Thyssenkrupp be exempted from the usual Defense Ministry tender process, raised concerns of a conflict of interest for Shimron. Part of the agreement allegedly being pushed by Shimron would also have seen ThyssenKrupp construct a lucrative shipyard in Israel, where the company would maintain the new vessels. He is also suspected of fraud and money laundering offenses in illicitly helping Ganor secure an investment in Swiss bank Credit Suisse. Bar-Yosef is suspected of helping Ganor become the representative in Israel of the German corporation. He then worked to promote the naval deals in return for a cut of Ganor’s fees. 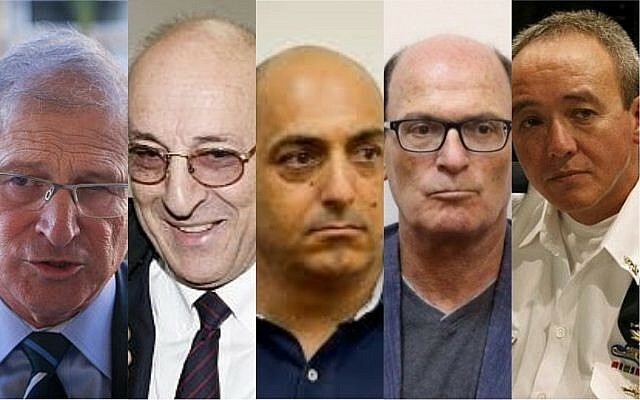 Brosh, a private businessman and a friend of Bar-Yosef, allegedly helped Ganor and Bar-Yosef hide their bribery connection as an intermediary, in return for a fee. Sharan is suspected of advancing Ganor’s interests in the government, for which he received a fee. Finally, Sandberg, who in 2003-2004 served as minister of science and technology as a member of the now-defunct Shinui party, is suspected of using his position as director of Keren HaYesod – the United Israel Appeal fund to “open doors” for Ganor in the government and provide him with inside information on the naval deals.